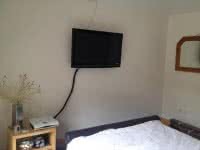 Large double room for single occupancy in recently renovated family home in Sandymount 2 mins walk from village and accross road from Sandymount Beach .Phonewatch monitored house alarm. 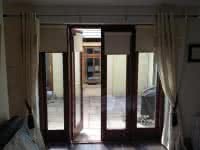 Room has double doors opening out onto internal courtyard. 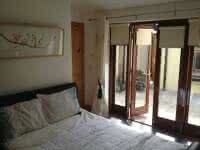 Double glazed and warm with walnut wooden floors. Price based on 4 nights per week. 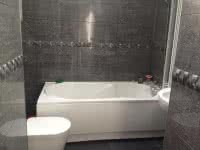 Additional nights 20 euro per night.